TREND enterprises, Inc. T-46152 - Dynamic spots encourage and delight! Perfect for tracking progress on Incentive Pads and Charts, and spotlighting success. 7/16" diameter. Acid free, nontoxic, and safe for use on photos. Acid-free, nontoxic, and photo-safe. Superspots stickers add pizzazz to graphs, invitations, journals, and so much more. Great on homework, incentive pads and charts, and more. 6 designs, 800 stickers. 6 designs; 8 sheets; 800 stickers in package. TREND enterprises, Inc. T-46153 - 7/16" diameter. 6 designs, 800 stickers. Acid free, nontoxic, and safe for use on photos. Great on homework, incentive pads and charts, and more. Superspots stickers add pizzazz to graphs, journals, invitations, and so much more. Acid-free, nontoxic, and photo-safe. Dynamic spots encourage and delight! Perfect for tracking progress on Incentive Pads and Charts, and spotlighting success. 6 designs; 8 sheets; 800 stickers in package. TREND enterprises, Inc. T-46914 - Great on homework, incentive pads and charts, and more. 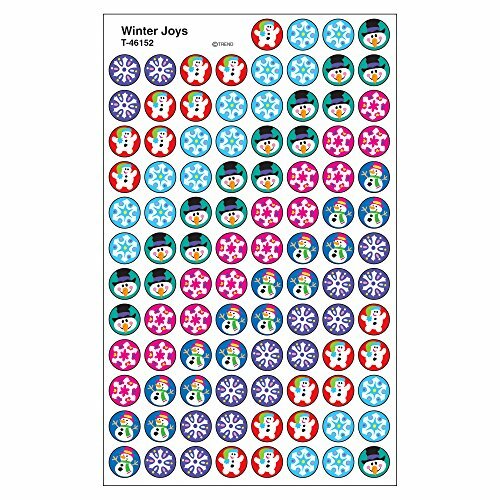 44 designs fall fun, treat time, super snow friends, red hearts, Totally Buggy, 2, Winter Joys, Spring Flowers, Turkey Time, Patriotic Symbols, 500 stickers. So many uses! Acid free, nontoxic, and safe for photos. 7/16" diameter. Cute, colorful stickers help spotlight good behavior, boost motivation, and make good habits stick. Great on homework, incentive pads and charts, and more. Acid-free, nontoxic, and photo-safe. 44 designs; 25 sheets; 2500 stickers. Acid-free, nontoxic, and photo-safe. 6 designs; 8 sheets; 800 stickers in package. 7/16" diameter. Popular superspots pack proves variety is the spice of life! Bright colors and amazing designs to motivate, trade, collect, and celebrate success. TREND enterprises, Inc. T-46065 - Light up faces with popular little stickers in fun shapes! Perfect for Incentive Pads and Charts, notes, stationery, and artwork. Acid-free, nontoxic, and photo-safe. 6 designs; 8 sheets; 800 stickers in package. Acid free, nontoxic, and safe for photos. 7/16" diameter. Endless possibilities. Great on homework, incentive pads and charts, and more. Acid-free, nontoxic, and photo-safe. Cute, boost motivation, colorful stickers help spotlight good behavior, and make good habits stick. Great on homework, incentive pads and charts, and more. Acid-free, nontoxic, and photo-safe. 44 designs; 25 sheets; 2500 stickers. 7/16" diameter. 5 designs, 800 stickers. 7/16" diameter. TREND enterprises, Inc. Super Snow Friends superShapes Stickers, 800 ct - Great on homework, incentive pads and charts, and more. 5 designs; 8 sheets; 800 stickers in package. TREND enterprises, Inc. T-46067 - Acid-free, nontoxic, and photo-safe. 6 designs; 8 sheets; 800 stickers in package. 7/16" diameter. Acid-free, nontoxic, and photo-safe. 7/16" diameter. Great on homework, incentive pads and charts, and more. Great on homework, incentive pads and charts, and more. 4 designs; 8 sheets; 800 stickers in package. Light up faces with popular little stickers in fun shapes! Perfect for Incentive Pads and Charts, notes, stationery, and artwork.
. Acid free, nontoxic, and safe for photos. Cute, colorful stickers help spotlight good behavior, boost motivation, and make good habits stick. Great on homework, incentive pads and charts, and more. Acid-free, nontoxic, and photo-safe. 44 designs; 25 sheets; 2500 stickers. 5 designs; 8 sheets; 800 stickers in package. TREND enterprises, Inc. Turkey Time superShapes Stickers, 800 ct - Acid-free, nontoxic, and photo-safe. Endless possibilities. 7/16" diameter. 4 designs, 800 stickers. 7/16" diameter. TREND enterprises, Inc. T-46071 - 4 designs; 8 sheets; 800 stickers in package. Acid-free, nontoxic, and photo-safe. 6 designs; 8 sheets; 800 stickers in package. 7/16" diameter. 7/16" diameter. Acid-free, nontoxic, and photo-safe. Great on homework, incentive pads and charts, and more. 7/16" diameter. Great on homework, incentive pads and charts, and more. Cute, boost motivation, colorful stickers help spotlight good behavior, and make good habits stick. Great on homework, incentive pads and charts, and more. Acid-free, nontoxic, and photo-safe. 44 designs; 25 sheets; 2500 stickers. Light up faces with popular little stickers in fun shapes! Perfect for Incentive Pads and Charts, stationery, notes, and artwork. Trend Enterprises Proud Pumpkins Super Shapes Stickers 800 Piece, Multi - 7/16" diameter. Endless possibilities. 4 designs; 8 sheets; 800 stickers in package. Acid free, nontoxic, and safe for photos. Great on homework, incentive pads and charts, and more. 7/16" diameter. TREND enterprises, Inc. T-46150 - Superspots stickers add pizzazz to graphs, invitations, journals, and so much more. Acid-free, nontoxic, and photo-safe. Cute, boost motivation, colorful stickers help spotlight good behavior, and make good habits stick. Great on homework, incentive pads and charts, and more. Acid-free, nontoxic, and photo-safe. 44 designs; 25 sheets; 2500 stickers. 7/16" diameter. Great on homework, incentive pads and charts, and more. Acid-free, nontoxic, and photo-safe. 4 designs; 8 sheets; 800 stickers in package. Acid-free, nontoxic, and photo-safe. Great on homework, incentive pads and charts, and more. 4 designs; 8 sheets; 800 stickers in package. TREND enterprises, Inc. Spring Flowers superSpots Stickers, 800 ct - . 6 designs; 8 sheets; 800 stickers in package. 7/16" diameter. 6 designs; 8 sheets; 800 stickers in package. Great on homework, incentive pads and charts, and more. Great on homework, incentive pads and charts, and more. 7/16" diameter. TREND enterprises, Inc. T-46064 - 6 designs; 8 sheets; 800 stickers in package. Light up faces with popular little stickers in fun shapes! Perfect for Incentive Pads and Charts, notes, stationery, and artwork.7/16" diameter. Great on homework, incentive pads and charts, and more. Endless possibilities. Acid-free, nontoxic, and photo-safe. Acid free, nontoxic, and safe for photos. 7/16" diameter. 7/16" diameter. Great on homework, incentive pads and charts, and more. 6 designs; 8 sheets; 800 stickers in package. Acid-free, nontoxic, and photo-safe. Cute, colorful stickers help spotlight good behavior, boost motivation, and make good habits stick. Great on homework, incentive pads and charts, and more. TREND enterprises, Inc. Autumn Leaves superShapes Stickers, 800 ct - Acid-free, nontoxic, and photo-safe. 44 designs; 25 sheets; 2500 stickers. Acid-free, nontoxic, and photo-safe. 7/16" diameter. 4 designs; 8 sheets; 800 stickers in package. Great on homework, incentive pads and charts, and more. Carson-Dellosa Publishing 168034 - 7/16" diameter. 7/16" diameter. 6 designs; 8 sheets; 800 stickers in package. Acid-free, nontoxic, and photo-safe. 6 designs; 8 sheets; 800 stickers in package. 7/16" diameter. 7/16" diameter. Acid-free, nontoxic, and photo-safe. Acid free and lignin free. Die-cut shapes. Great on homework, incentive pads and charts, and more. Acid-free, nontoxic, and photo-safe. 4 designs; 8 sheets; 800 stickers in package. Acid-free, nontoxic, and photo-safe. 7/16" diameter. Great on homework, incentive pads and charts, and more. 84 stickers per pack. 7/16" diameter. Great on homework, incentive pads and charts, and more. Great on homework, incentive pads and charts, and more. Carson Dellosa Penguins Shape Stickers 168034 - 4 designs; 8 sheets; 800 stickers in package. Perfect for reward or recognition, incentive pads and charts, each pack of these acid-free and lignin-free stickers includes 84 stickers! Available in a wide variety of colors and shapes, stickers are an essential addition to any teacher's desk! Great on homework, and more. Acid-free, nontoxic, and photo-safe. Acid-free, nontoxic, and photo-safe. Outside the Box Papers STR-0138 - These blue and white paper straws are simply fun, especially with the combination of patterns. 7/16" diameter. Great on homework, incentive pads and charts, and more. 7/16" diameter. Great on homework, incentive pads and charts, and more. 6 designs; 8 sheets; 800 stickers in package. These paper straws won't get soggy or fall apart. 4 designs; 8 sheets; 800 stickers in package. Great on homework, incentive pads and charts, and more. 7/16" diameter. Great on homework, incentive pads and charts, and more. Great on homework, incentive pads and charts, and more. 5 designs; 8 sheets; 800 stickers in package. Acid-free, nontoxic, and photo-safe. Great on homework, incentive pads and charts, and more. Outside the Box Papers Blue Stripe, Chevron and Polka Dot Paper Straws 7.75 Inches 75 Pack Blue, White - Pack of 75 in 3 different patterns. 4 designs; 8 sheets; 800 stickers in package. Acid-free, nontoxic, and photo-safe. Cute, colorful stickers help spotlight good behavior, boost motivation, and make good habits stick. Great on homework, incentive pads and charts, and more. TREND enterprises, Inc. T-46075 - 7/16" diameter. 7. 75 inches x. 25 inches in diameter. Acid-free, nontoxic, and photo-safe. Great on homework, incentive pads and charts, and more. 84 stickers per pack. Die-cut shapes. 6 designs; 8 sheets; 800 stickers in package. 4 designs; 8 sheets; 800 stickers in package. 100% biodegradable. Great on homework, incentive pads and charts, and more. 7/16" diameter. 7/16" diameter. Acid-free, nontoxic, and photo-safe. Acid free and lignin free. Great on homework, incentive pads and charts, and more. Endless possibilities. Acid-free, nontoxic, and photo-safe. Pack of 75 in 3 different patterns. 4 designs; 8 sheets; 800 stickers in package. 7/16" diameter. 3 colors red, yellow, green, 800 stickers. TREND enterprises, Inc. Happy Apples superShapes Stickers, 800 ct - 4 designs; 8 sheets; 800 stickers in package. Great on homework, incentive pads and charts, and more.